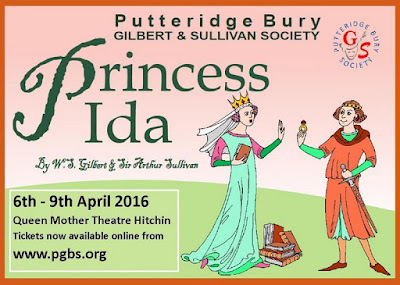 PBGS: Princess Ida Box Office now open! Princess Ida Box Office now open! Our PBGS Box Office is now open for Princess Ida! 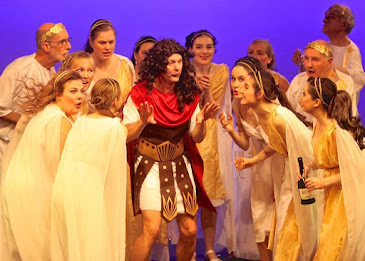 Book early to be sure of a ticket for what promises to be a fabulous production. 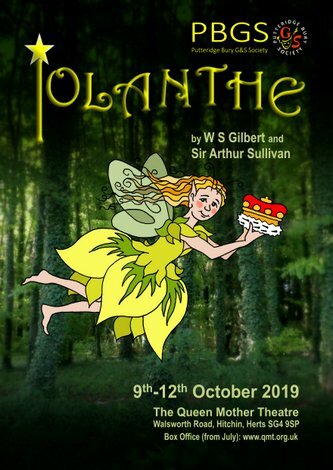 Princess Ida is Gilbert and Sullivan's epic battle of the sexes which unfolds when Prince Hilarion arrives to claim his bride promised in childhood. But Princess Ida has established a school for ladies in Castle Adamant and men are forbidden! Will love triumph as the sexes go to war? Terrific music, comedy, swordfights and cross-dressing for all the family! Follow the link below or on the top right of this page to be taken to our secure booking page. For any queries or special requirements please ring PBGS on 07946 264886 or email PBGS at boxoffice@pbgs.org. New Year Plaudits for PBGS!